WCC graduates with a 50 or better WCC grade point average will be guaranteed transfer admission to The College of Westchester and will transfer with junior standing at the receiving institution. A minimum of 60 credits from the associate degree will be applied toward the completion of the articulated bachelor’s degree program. A maximum of 66 credits will be applied toward the completion of the articulated bachelor’s degree program. By virtue of completion of the A.A. or A.S. degree at WCC, all students will be waived of the lower level general education/core requirements at the receiving institution. Students will not be required to take any additional lower level general education/core requirements. Students must apply for the Pathways transfer scholarships through the WCC Foundation’s online scholarship application process (Visit the Scholarship page for more information.) View the articulation agreement below for scholarship criteria. *Scholarship percentage is applied to the remaining tuition balance after all eligible federal, state and third party grants and scholarships have been applied. The College of Westchester offers a variety of other merit and need based grant programs. However, merit based programs cannot be combined with The College of Westchester/Westchester Community College Pathways Transfer Scholarships. 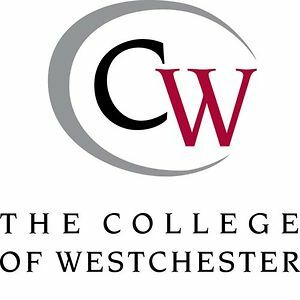 For more information on the College of Westchester, visit the College of Westchester website. Business – Accounting A.S. Accounting B.B.A. Business Administration A.A.S. Business Administration B.B.A. Business Administration A.S. Business Administration B.B.A. Communications And Media Arts A.A. Interactive Digital Media and Marketing B.S. Digital Filmmaking A.S. Interactive Digital Media and Marketing B.S. Fashion Design & Technology A.A.S. Interactive Digital Media and Marketing B.S. Fashion Design & Technology A.A.S. Business Administration B.B.A. Global Business A.S. Business Administration B.B.A. Liberal Arts & Sciences: Social Sciences with a concentration in Economics (effective fall 2016) A.A. Business Administration B.B.A. Marketing A.A.S. Business Administration B.B.A. Marketing A.A.S. Interactive Digital Media and Marketing B.S. Marketing A.S. Business Administration B.B.A. Marketing A.S. Interactive Digital Media and Marketing B.S. Nursing A.A.S. Health Care Administration B.B.A. Radiologic Technology A.A.S. Health Care Administration B.B.A. Respiratory Care A.A.S. Health Care Administration B.B.A. Visual Arts (effective fall 2016) A.S. Interactive Digital Media and Marketing B.S.